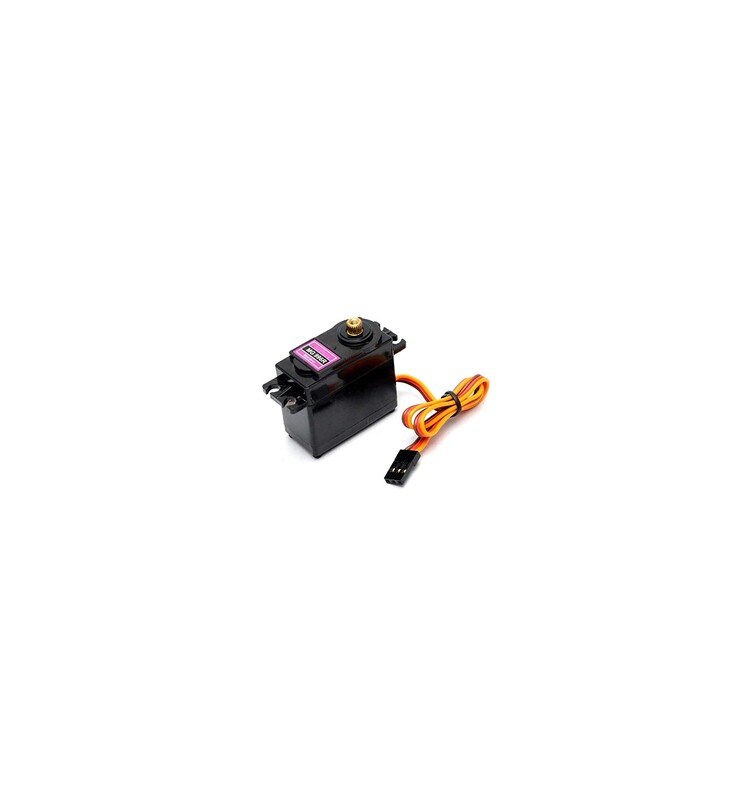 The MG996R Servo Motor is a small but powerful servo motor, which has been revised and improved upon from the original MG996. It offers up to an impressively high 15kg.cm stalling torque despite being only 55grams, and can rotate approximately 120 degrees – or 60 degrees in each direction. This unit comes equipped with a 30cm wire and a 3pin ‘S’ type female header that can conveniently fit most receivers like the GWS, Cirrus, Blue Bird, Blue Arrow and a few others. The gearing within the motor has been improved upon since the original version, which has not only enhanced the efficiency of the unit, but has also helped reduce dead bandwidth and improve centering. 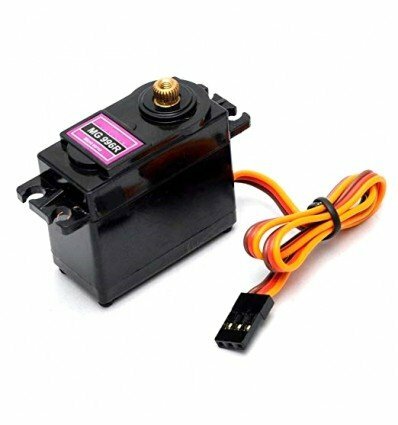 This makes the MG996R Servo Motor ideal for most home project applications, as it doesn’t require a gearbox or a controller with feedback, and instead can simply provide the rotational and stalling torque Makers and hobbyists need for basic Robotics and mechanical movement. Limb extension and retraction in robotics. Small movements in basic interactive robots – for waving an arm or picking up an object. 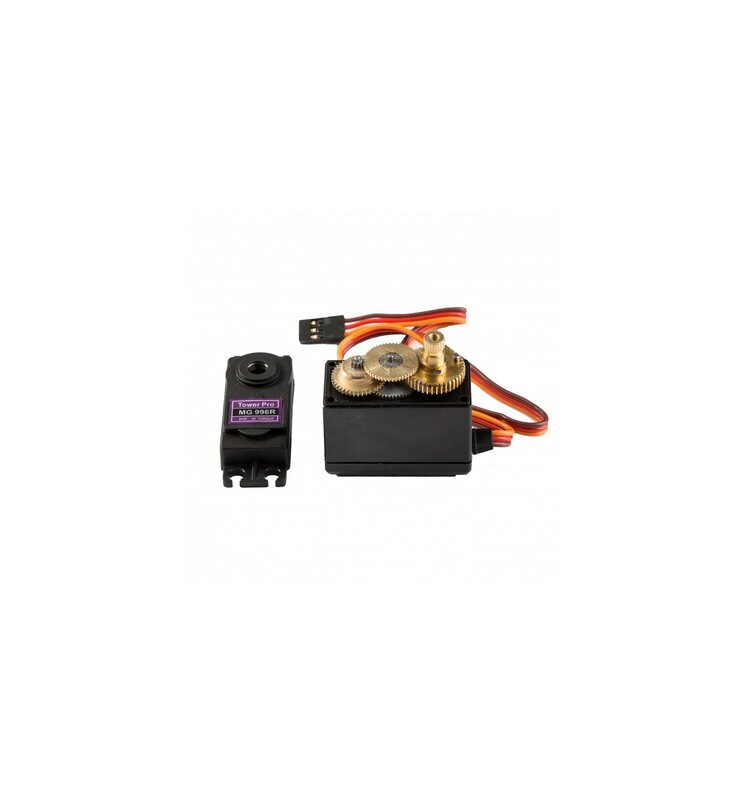 The MG996R Servo Motor is also included within our Arduino Kits, which is designed to help new and veteran Makers expand their horizons and enjoy a unique array of projects involving mechanical and Electronics tinkering.